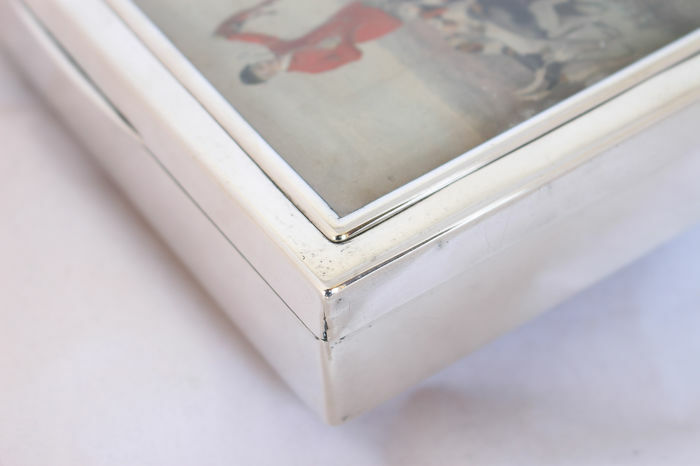 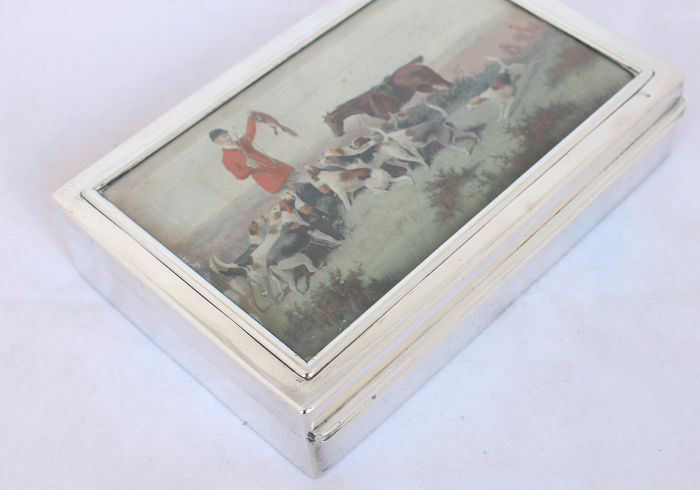 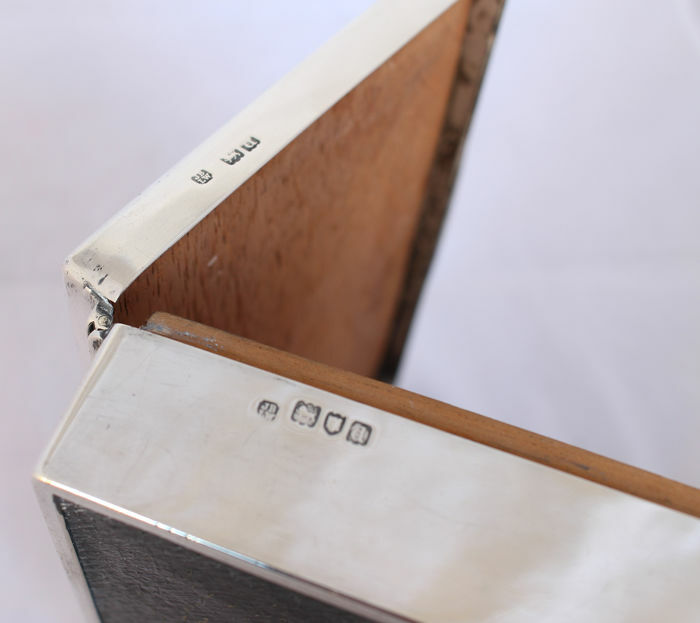 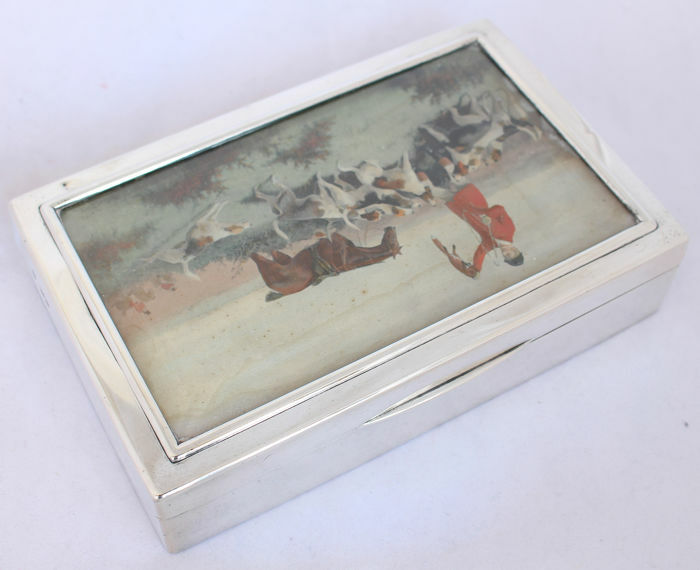 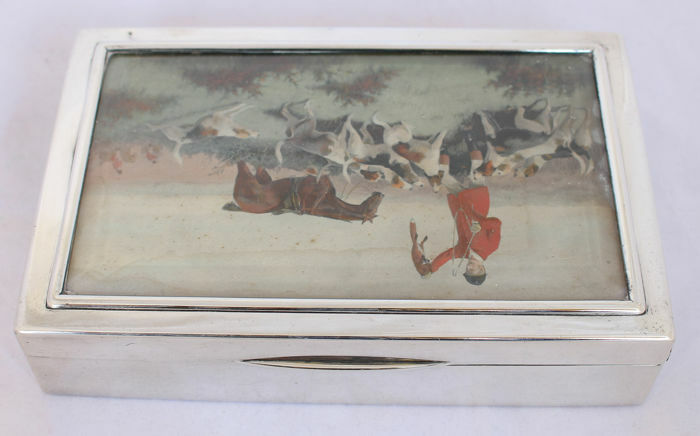 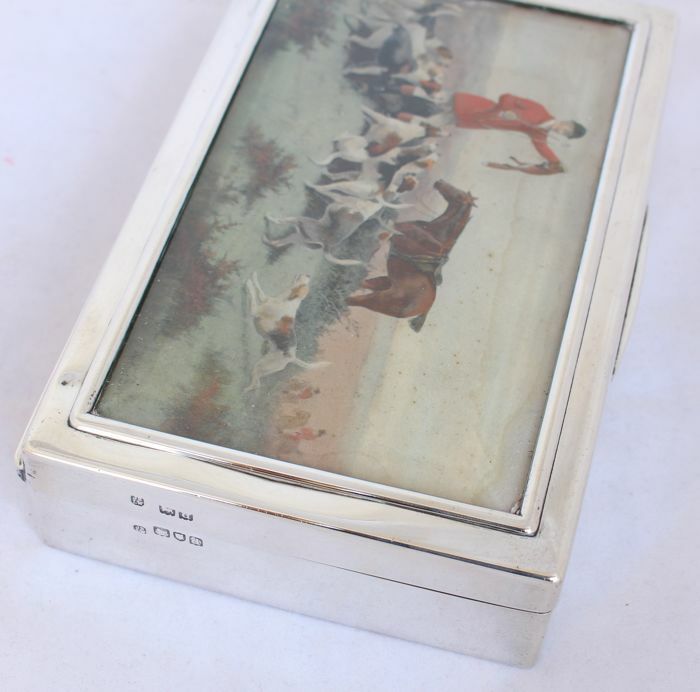 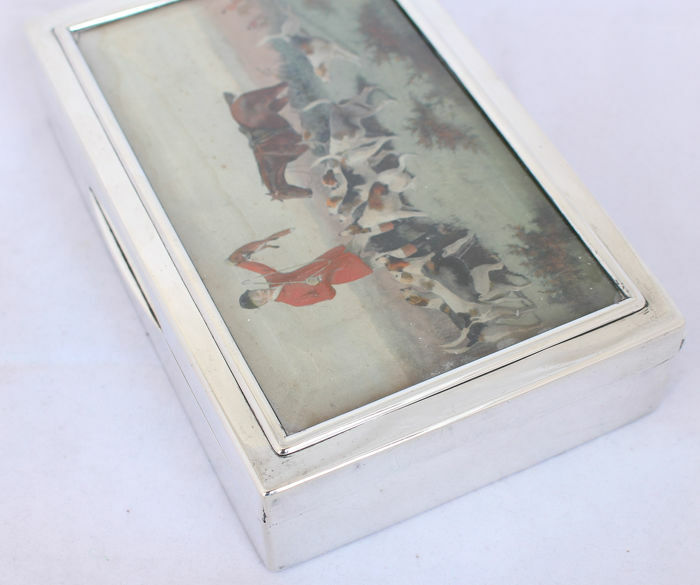 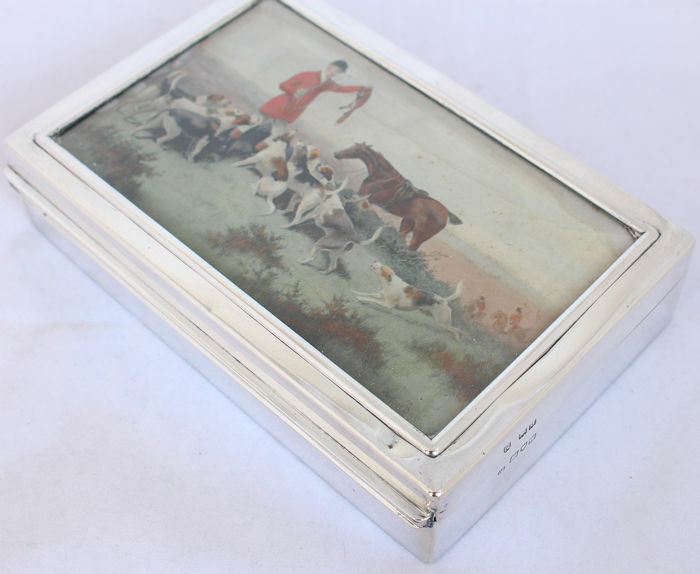 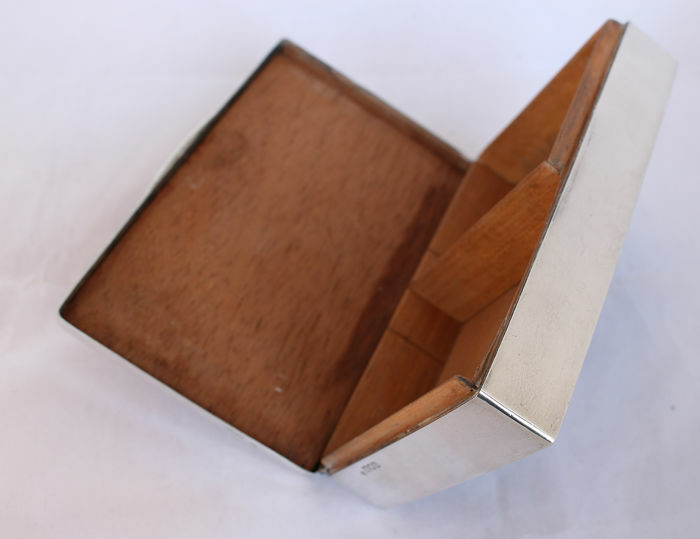 A unique Sterling Silver cigar table box. 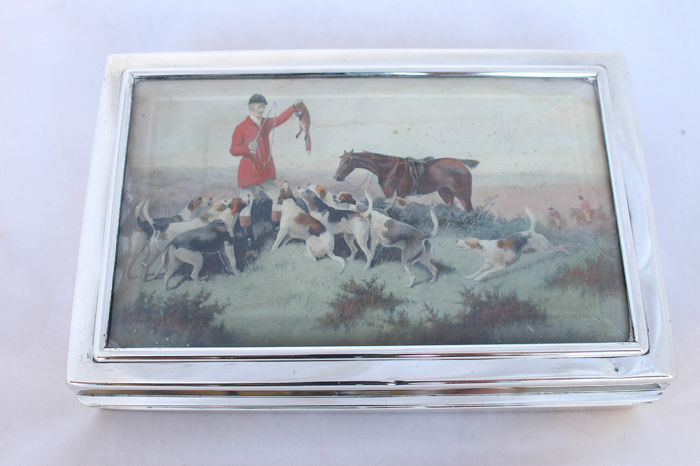 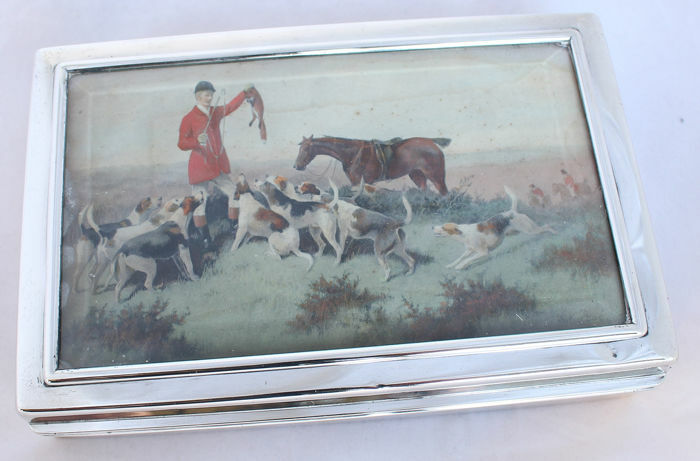 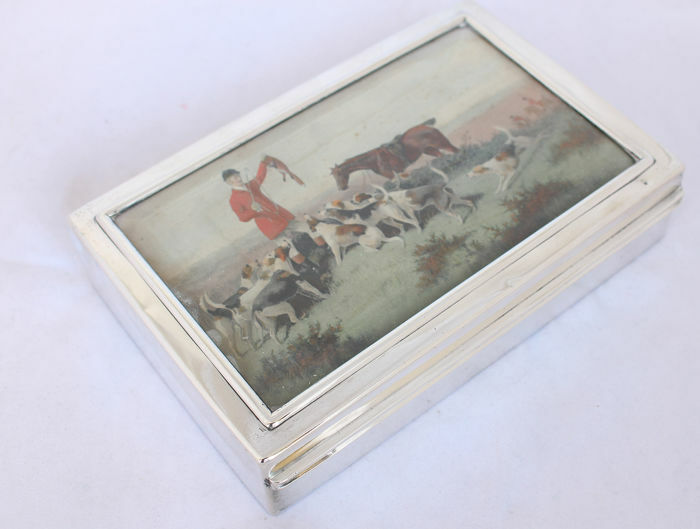 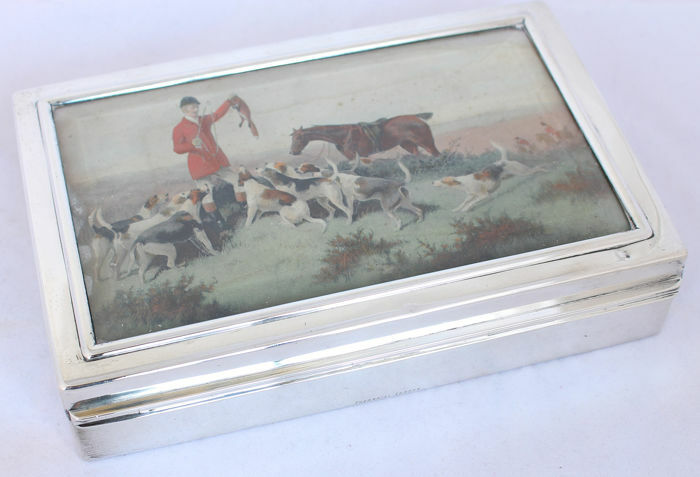 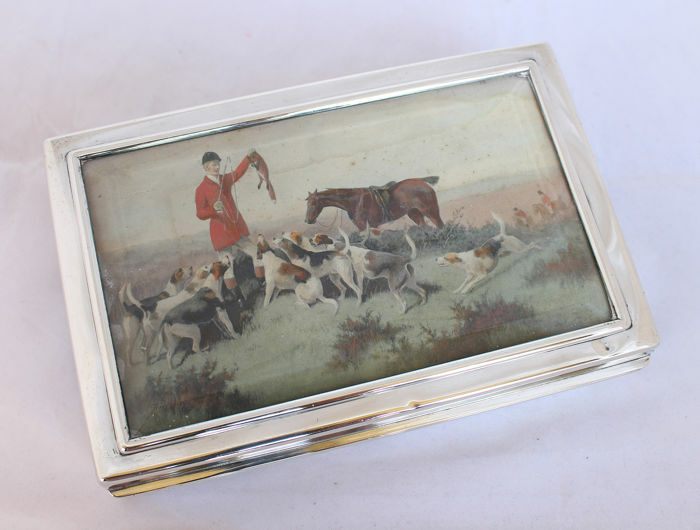 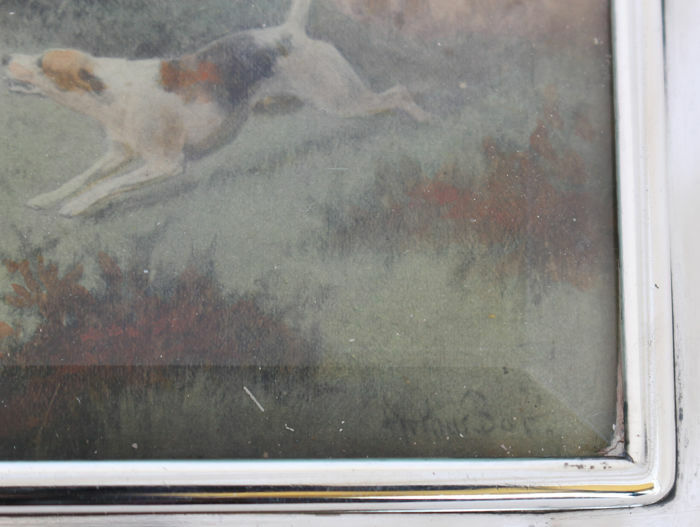 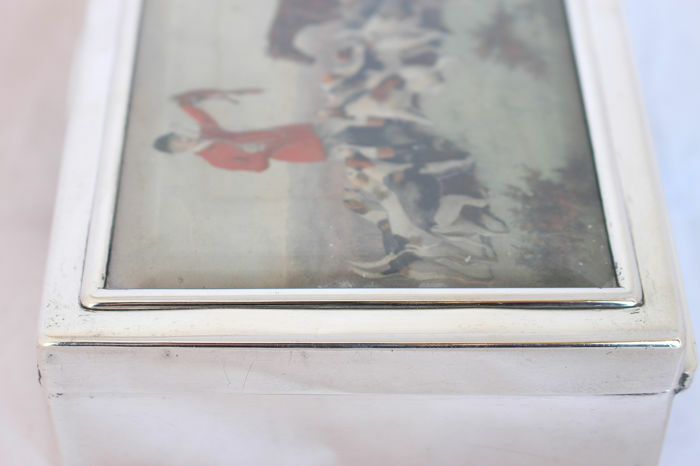 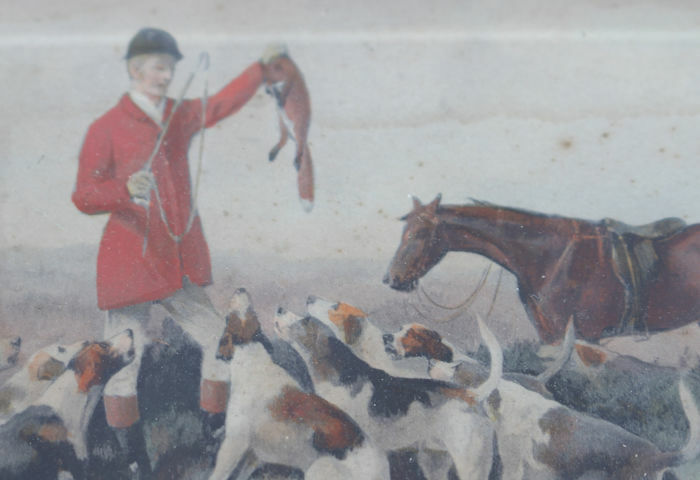 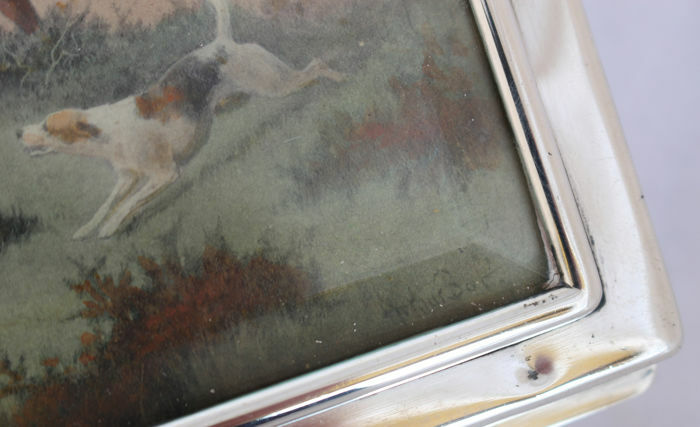 It shows a print of fox hunting. 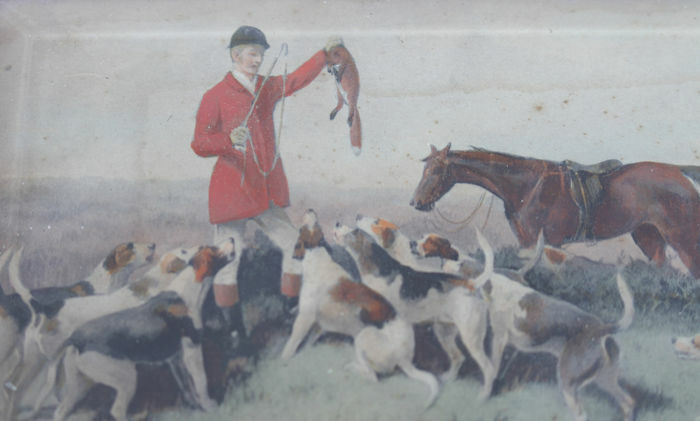 A signed print, visible right below corner. 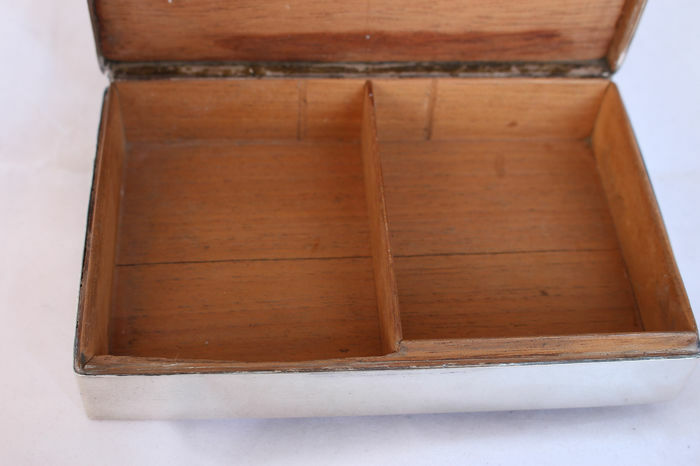 Weight : Approx. 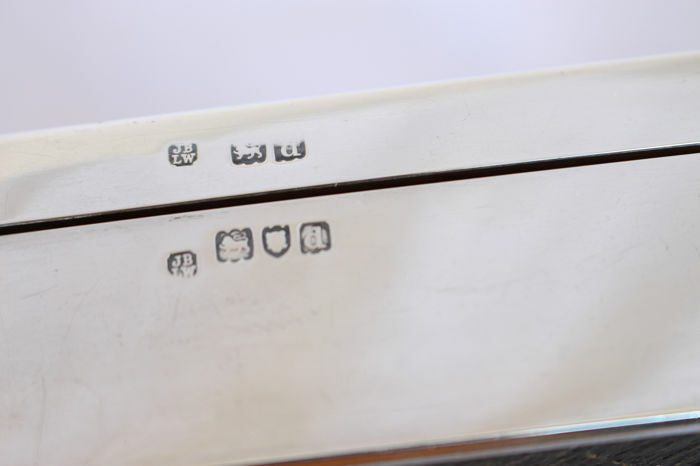 537 grams (17.3 troy ounce). 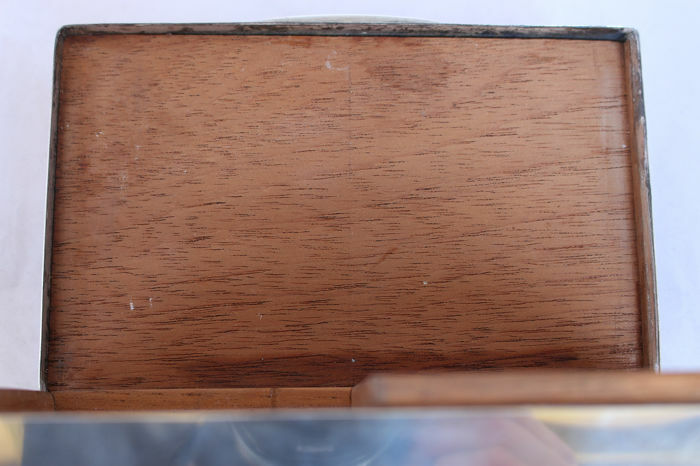 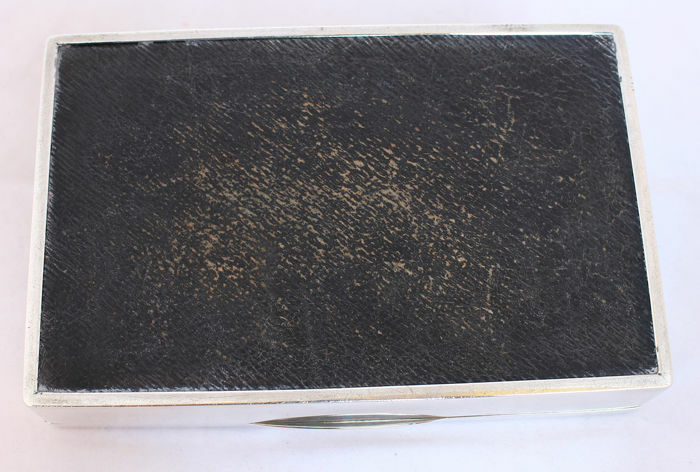 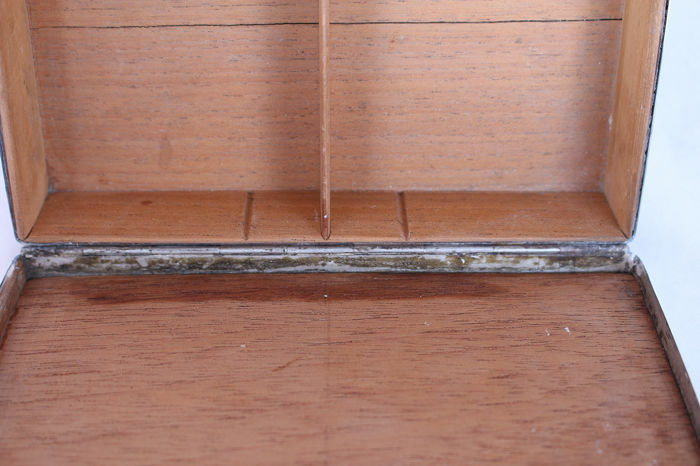 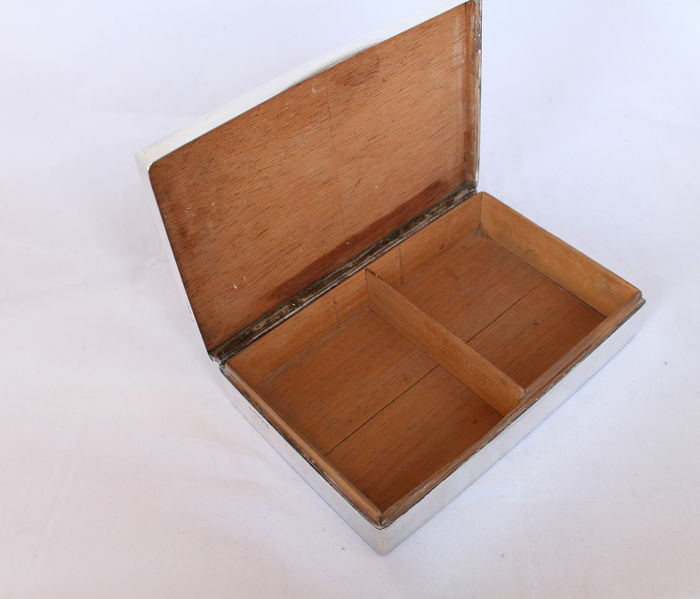 The wood to the interior is in fair condition with a long hairline crack, 3 pieces missing of cedar wood of the lid and one broken piece of the side. 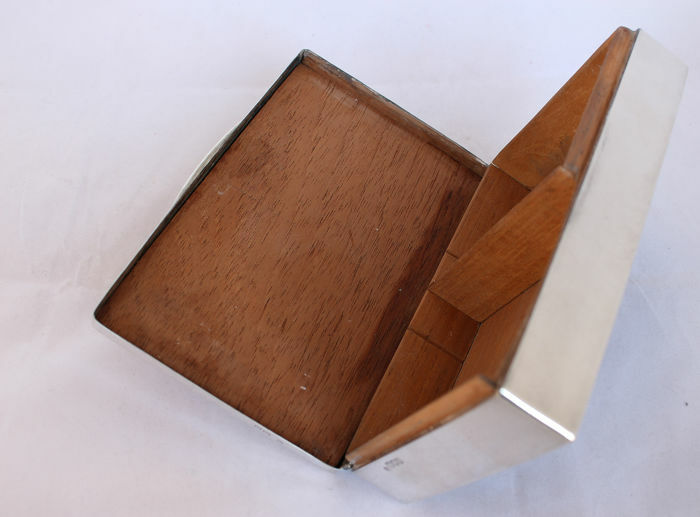 See picture 16 & 27 for a tiny split in the lid. 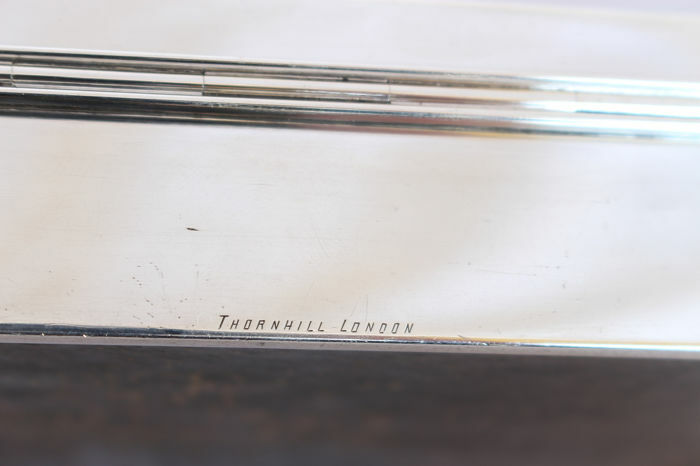 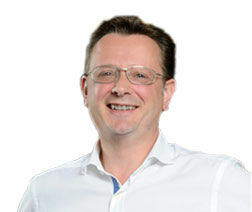 Look at my other adverts for more quality silver.